Kindergarten: In class we read the story . We reviewed primary and secondary colors. 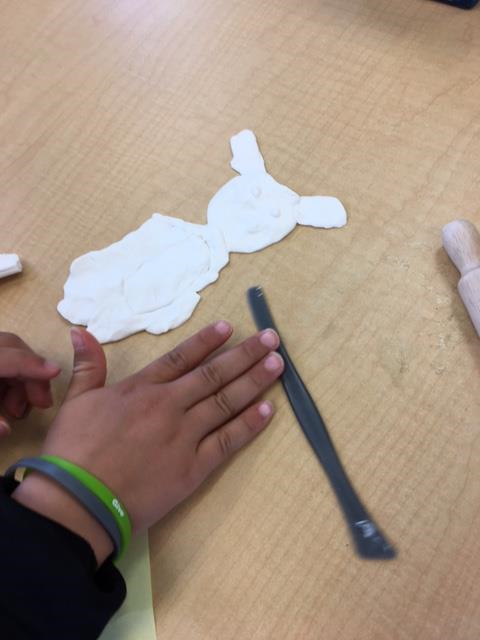 The students used model magic clay to sculpt a rabbit. This is a 3 session project which will involve a clay rabbit, and a background painted with watercolors and colored with oil pastels. First Grade This week the 1st graders painted their Vincent Van Gogh inspired clay sunflowers. Pictures will be posted next week. Second Grade: We read an article about the history of the Cherry Blossoms and how the beautiful trees made their way to the United States. The students created a sunset background for their cherry blossom tree using chalk pastels. Next week they will paint. 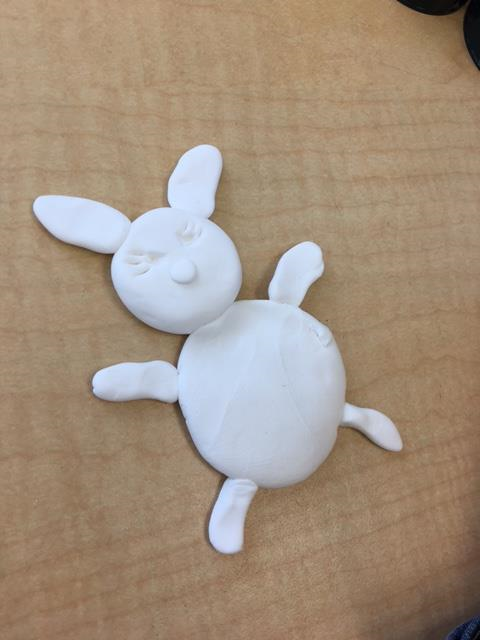 Third Grade Mrs. Sullivan’s class had their clay day this week. We learned about geometric shapes and organic shapes. The students created tiles with organic shapes etched in using sculpting tools. The other 3rd grade classes continued with the foil embossing project. Fourth Grade: The 4th graders continued their weaving projects. We worked on the weaving project outside. It was nice to sit and weave out in the beautiful sunshine! Fifth Grade: This week was the 2nd session for the Native American Raven Art. The students painted their entire paper with black tempera paint. Next week the students will “scratch” out their designs with a tooth pick. Mrs. Simmons’ class: The students painted their organic shape sculptures this week. Mrs. Gersten’s class: The students learned about the work of Vincent Van Gogh’s Sunflowers. 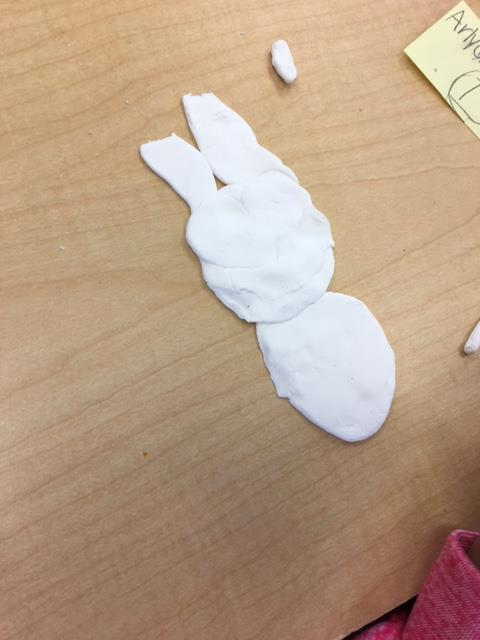 They created their own sunflower using Model Magic Clay.